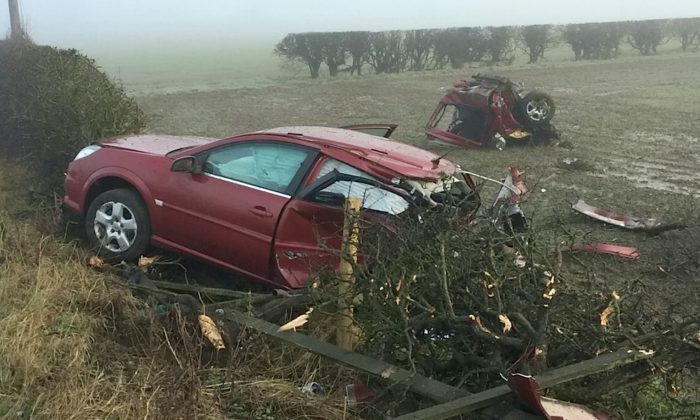 Police have released images of a collision in North Yorkshire, UK, that left a car split in two. The crash happened around 7:30 a.m. on Monday, March 12, and left the rear of the red Ford Focus in a field—but the driver managed to walk away unscathed. 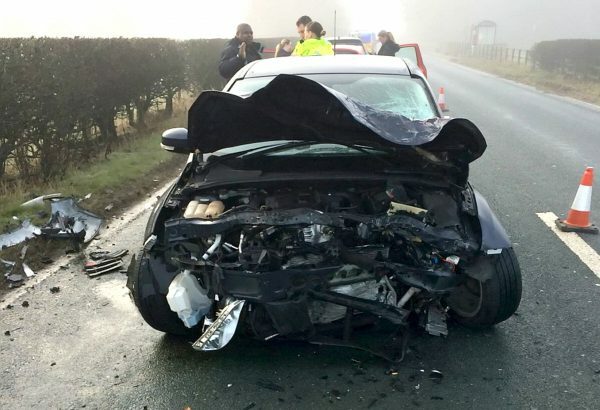 The driver of a dark blue Vauxhall Vectra, that had its bonnet completely bent, also escaped with only minor injuries, according to North Yorkshire Police. A spokesperson for North Yorkshire Police said both men attended hospital where they were discharged later that day. It is believed that a silver hatchback car, a small red car, and the Ford Focus were going south towards Harewood, and a Vauxhall Vectra was travelling in the opposite direction. As the silver hatchback overtook the small red car, the Vectra smashed into the Ford Focus, according to local police. The silver hatchback and the red car failed to stop. Officers want to speak to the driver of both of them and are also appealing for witnesses. In February, a Lamborghini smashed when it crashed into a bus in Nottingham. 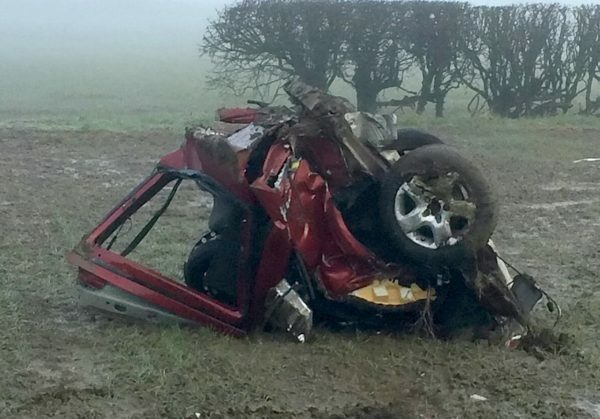 The £260,000 (US$363,000) supercar’s rear was left hanging off, but the driver was unscathed. Nottingham City Transport said a vehicle had “driven into the side of one of our buses” and reported “severe delays” on its services that day.